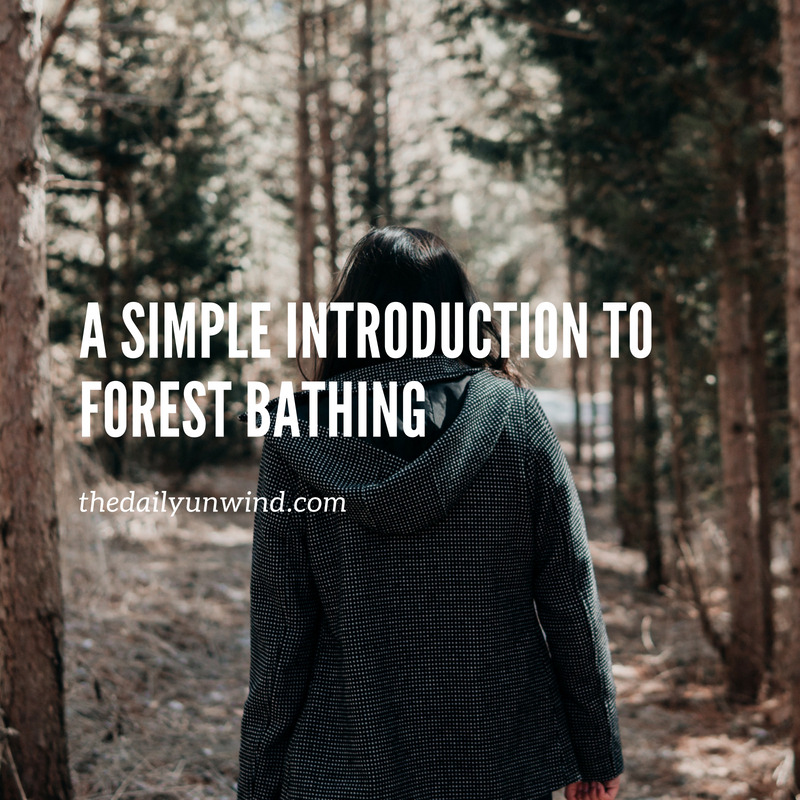 A Simple Introduction to Forest Bathing - The Daily Unwind | Breathe. Love. Unplug. I first heard about Forest Bathing from the source of all lovely knowledge (Pinterest). 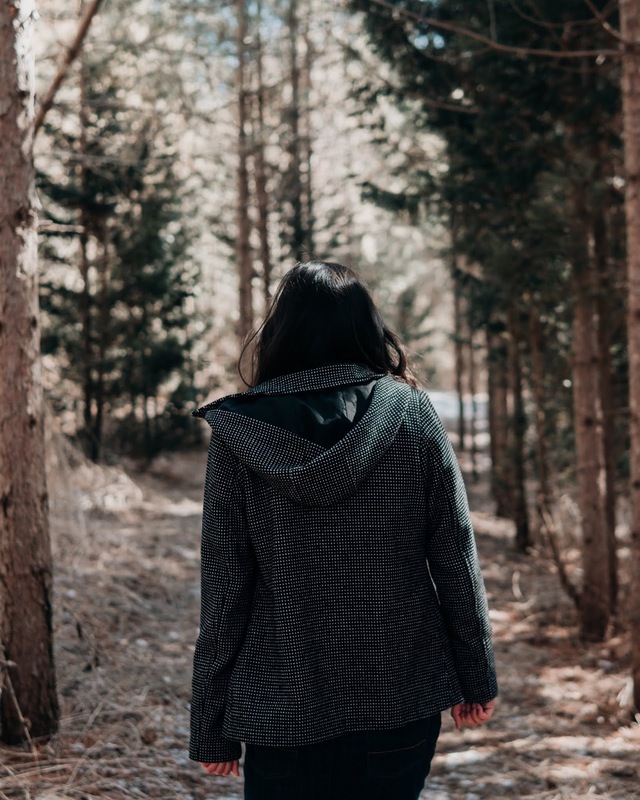 Luckily the article on Forest Bathing I ran across there featured a picture of person just walking in nature, um...how do I say this tactfully...fully clothed? 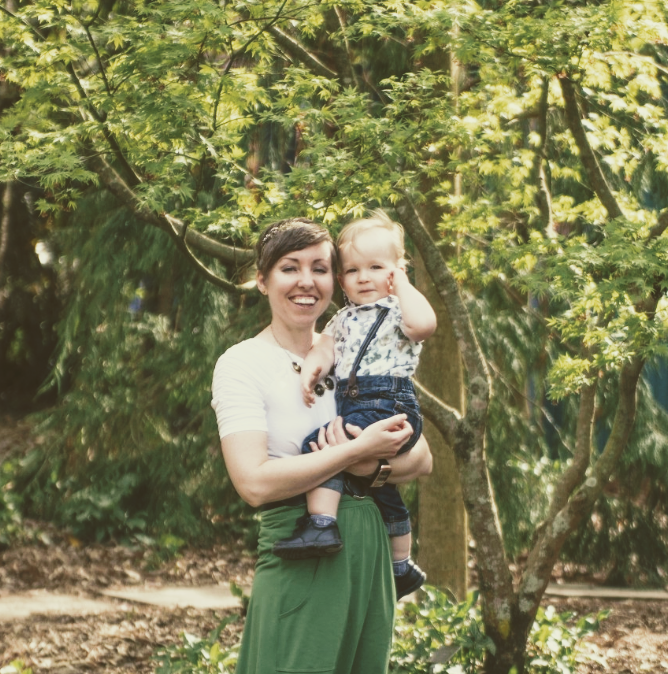 Because heaven knows Forest Bathing sounds like going to take a bath in a forest stream or something; am I right?! A wellness practice in Japan that became more or less official in the 1980s, forest bathing (or shinrin-yoku) has started to take off here in the States with forest bathing guided tours and groups in many regions including national and state parks. The concept of forest bathing is different from just taking a regular hike. Usually when I get into the woods, I immediately hop on a trail and follow it at a brisk clip until I get to my predetermined destination, wherever that might be. With Forest Bathing, there is no destination besides calm and peace. Forest Bathers are encouraged to leave behind (or maybe for safety's sake, store away in a pocket and zip it up tight) cell phones and other technology. No picture taking. No music. Just you, the fresh air, and the sounds of the great outdoors. You set off into the forest at whatever pace your senses lead you. It should be a full sensory experience - smell the earthy soil underfoot, feel the sunlight's rays beaming down on you through the trees, hear the rushing of a nearby brook, taste the berries (if you're SUPER confident you know what they are and SUPER confident you're allowed to pick them at your chosen forest. You know what? On second thought, just leave the berries. You can have berries at home. Haha). Go wherever your curiosity leads. Go off path. Go on path. Stand still and close your eyes periodically. If you're prone to getting lost, take a friend, though. I don't want to hear any comments about my readers trying this and needing a search and rescue party to come find them. Stress relief. Obviously. An opportunity for mindfulness. Absolutely. Grounding and reconnection with nature. Yes. Yes. Yes. We as a society are becoming extremely disconnected with nature and its manifesting itself in a myriad of destructive and unkind behaviors. So, do yourself and the world around you some good. Reconnect. I am planning my first Forest Bathing experience within the next couple of weeks as I look for a day that won't be scorching hot. Luckily, the forest is usually 10-20 degrees cooler than open land in the direct sunshine, so it doesn't have to be the perfect day outside. Come back to read my review of my experience with Forest Bathing and I most gladly welcome your experiences as well - please comment below!